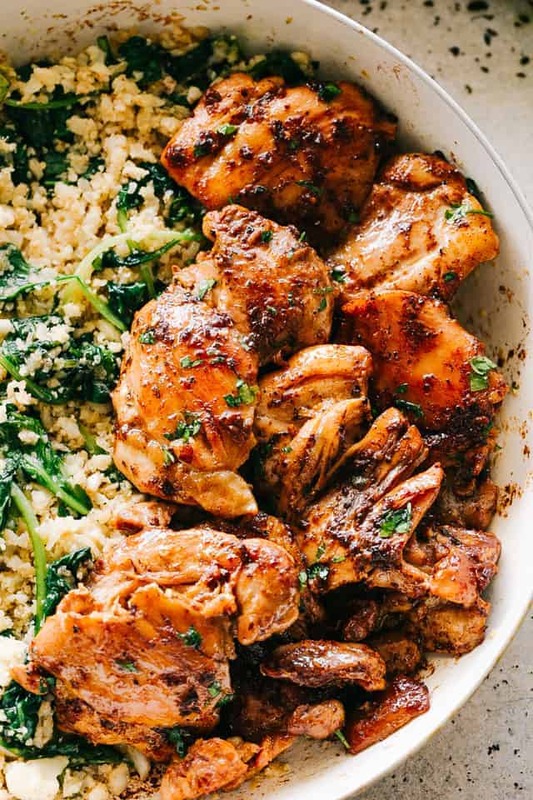 Juicy Stove Top Chicken Thighs – Perfectly golden, tender, and juicy skinless, boneless chicken thighs prepared on the stove top. 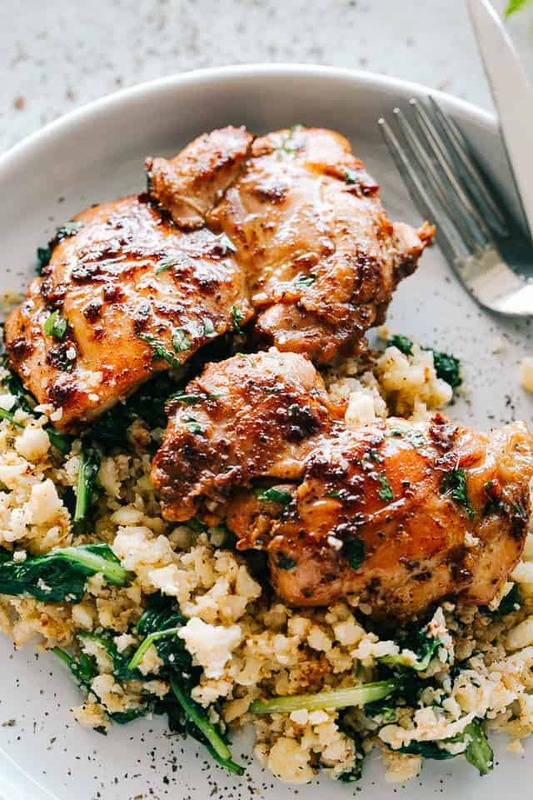 These delicious pan seared chicken thighs make for a wonderful meal that’s surprisingly easy, and the pan sauce is amazing! 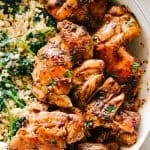 Quick enough for a Thursday night dinner, or even a dinner party, this Stove Top Chicken Thighs recipe is all about the technique. Cooked in olive oil and finished off with butter, garlic and chicken broth results in crispy, yet tender and finger-licking good chicken thighs. Did I mention that this recipe is budget friendly, keto friendly, and paleo friendly, too? ‘Cause IT IS! I cook with our waistlines in mind. Pan seared chicken, whether it’s chicken breasts or chicken thighs, most often come out dry and tasteless. However, this stove top chicken thighs recipe is about to change all of that. If you’re looking for an oven recipe, hop on over here and see these deliciously marinated Oven Baked Chicken Thighs. Similar to my Garlic Sauce Chicken Thighs, sans bones and skin, this recipe starts with a wide, deep 12-inch skillet and well heated olive oil. In the meantime, we will season our chicken thighs with a mix of garlic powder, onion powder, chili powder, salt, and pepper. Add chicken thighs, smooth side down, to the skillet and sear for about 5 minutes, or until you can easily flip it over. Flip and cook for 6 more minutes; add butter and garlic to the pan and cook for a minute before adding chicken broth to scrape up all the delicious bits on the bottom of the pan. This will also create the sauce to go with the chicken thighs. Use a large skillet that comfortably fits 4 to 6 boneless, skinless chicken thighs. Cook the chicken thighs over medium-high heat. DO NOT move the chicken thighs around; let cook for 5 minutes or until you can easily flip them over. After adding in the butter and garlic, a splash of chicken broth will help with scraping up all the bits on the bottom of the pan. If you want, you can also use your favorite white wine or apple juice. If chicken breasts are all you’ve got, get my recipe for Juicy Stove Top Chicken Breasts. Refrigerate chicken thighs within two hours of cooking. Make sure that they are completely cooled. Store chicken in airtight containers, and refrigerate for up to 4 days. Transfer completely cooled chicken thighs to an airtight container OR freezer bags. Label the bag or container with name and date, and place it in the freezer for up to 3 months. 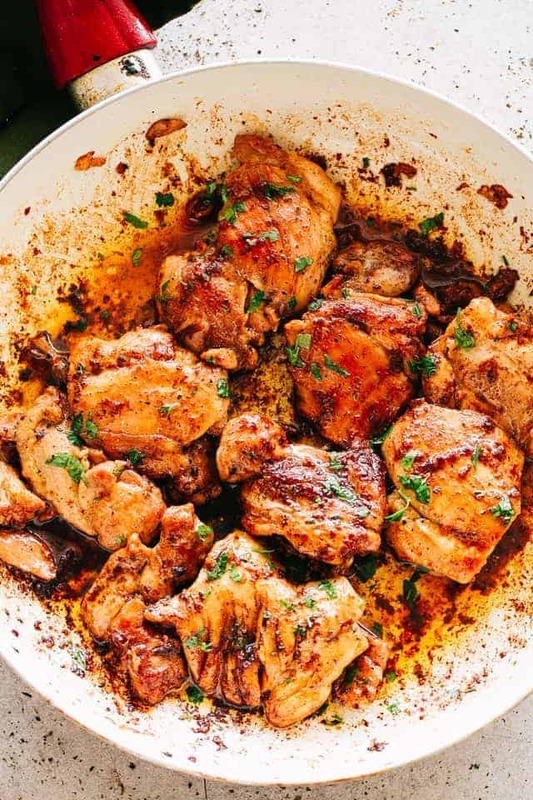 Perfectly golden, tender, and juicy skinless, boneless chicken thighs prepared on the stove top. Season chicken thighs with onion powder, garlic powder, chili powder, salt, and pepper. Add seasoned chicken thighs to the skillet, smooth side down; cook for 5 minutes or until you can easily flip over the chicken. Flip and continue to cook for 6 to 7 more minutes, or until no longer pink. Add butter and minced garlic; cook for about 30 seconds or until fragrant. Add chicken broth and stir around to scrape up all the crispy bits on the bottom of the pan. Additionally, you can use chicken breasts in place of the chicken thighs. Absolutely on my weekly dinner menu easy, tasty and quick! This was very easy to make and was really delicious. Not a single piece left! I made these in a pinch for a last minute dinner party instead of ordering out. The sauce was amazing. I could practically drink it!! I used bone-in , skinned chicken thighs so it had to cook about 30 min. I also added some cooked, sliced Italian sausage because I thought the sauce would be delicious on them – and it was!! As a side, I made the coconut lime cauliflower rice. My dinner guest raved about the meal. Thank you! Always looking for low carb recipes with lots of flavor, this one just went to the top of my list. Followed the recipe exactly and it was delicious! Thighs weren’t done. “Sauce” was actually just oil. Not much flavor. Wouldn’t make again. We tried this recipe out tonight. It was pretty good. I used a lot more garlic, and I added a little lime juice to the chicken broth. Otherwise I followed the recipe. I did follow the comments recommendation and flattened my thighs first. I served it with candied carrots and baked potatoes. I made this but eyeballed the seasonings. I cooked it in a cast iron pan. It was juicy and flavorful. I will be making this weekly! Not sure if it took my rating ***** 5 stars.. easy and quick..
Made these tonight for dinner and they were excellent. Deglazed the pan with some white cooking wine, returned the chicken to the pan. They were still a bit pink so I left them in the pan while the liquid reduced about 5 mins. They were so good! Only thing I will do differently next time is flatten the thighs with a mallet so they are a more even thickness. My girlfriend says we are making these again next week. They were a hit! How can you give 5 stars to a recipe if you haven’t made it? Looks yummy….looks mouthwatering…..delicious looking, etc. Make the damned thing….then rate it! You just gave the recipe 1 star and didn’t say if you tried it, or what was wrong with it. Was the 1 star because you were frustrated with the “5 stars”?? Can I use bone in chicken thighs instead? 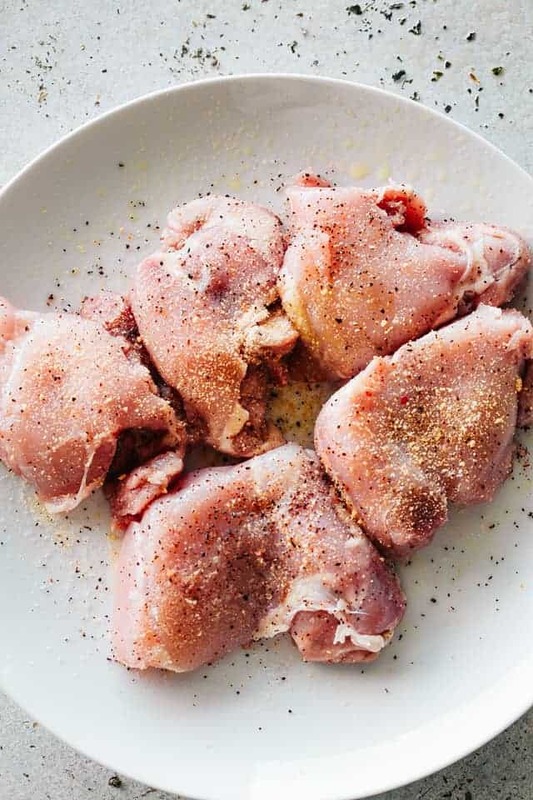 Bone-in chicken thighs take longer to cook and with this recipe it will dry them up real quick unless you keep adding in tons of butter. :-/ For that reason, it would be best to first brown them up on the stove top in a skillet (on both sides for about 5 minutes per side) and then let them finish cooking in the oven at 425F for about 12 more minutes, or until done. I hope this helps. Fast and tasty dish! I subbed chipotle chili powder and eyeballed all the seasonings and ingredients. Also used Better than Bouillon for the broth..delish. The chipotle chili powder isn’t too spicy, just a tad (at least for my tastes) and a bit smokey. Delish..paired it with Goya yellow rice and a bag of steamed veggies. Dinner was done in 30 minutes from start to finish. Not very flavorful. They were juicy for sure, but definitely needed more in the flavor department. They also took longer to cook than the recipe said. I love this recipe, After cooking for 7 minutes, i have perfectly done pink chicken. Could I use bone-in and skin on thighs for this and increase cooking time? I don’t understand how the chicken is supposed to cook so fast. You only have maybe 7 minutes or so of total cooking time – thighs are taking closer to 25 minutes to cook like this for me! How are the cooking times so fast? Also, do you take the chicken out of the pan before adding the butter and garlic and deglazing? Or leaving it in? I’m ending up with a ton of oil in the pan, so much that it’s almost frying. I am not sure how this is supposed to become sauce as right now it would be like pouring pure oil over top of the chicken. Please help! Hi! I am sorry I didn’t see this earlier! I hope dinner worked out. :-/ My apologies, please. Did you use boneless, skinless thighs? They should be done cooking after 8 to 10 minutes over medium-high heat. 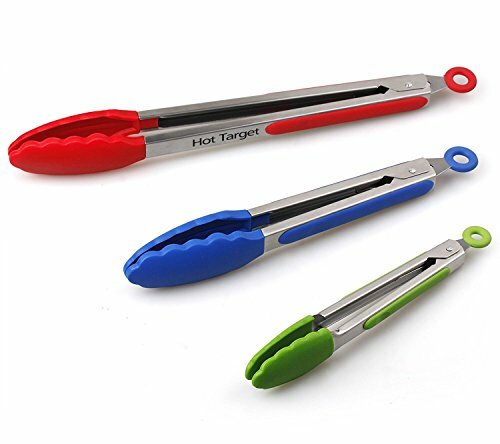 You can check for doneness by using a meat thermometer and inserting it in the thickest part of the meat – thighs are done at 165F. For the second part, definitely leave the thighs in there because they are still cooking. You’ll have to work around them to scrape up all the bits and pieces after pouring in the chicken broth. If you feel that there’s too much oil, you can pour it out, but not all of it. Also, you can remove the chicken thighs to work with the butter and garlic, but you will have to add them back into the skillet and cook for a couple minutes longer, or until they are done. Cooking time for me was about 9 plus min over medium heat. Took them out at 164 degrees internal temp. Great taste but I did add a little more seasoning before starting to cook. Such an easy weeknight meal! I love this!! This looks incredibly delicious! 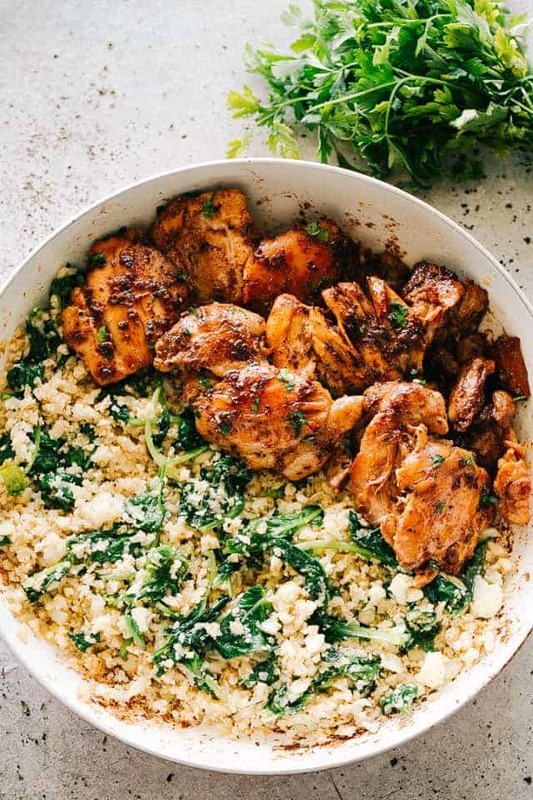 Looks like a perfect weeknight dinner! Yum! These look incredible! Perfect to make during the week! This sounds seriously incredible! Looks like a fabulous weeknight dinner, so tasty and delicious! 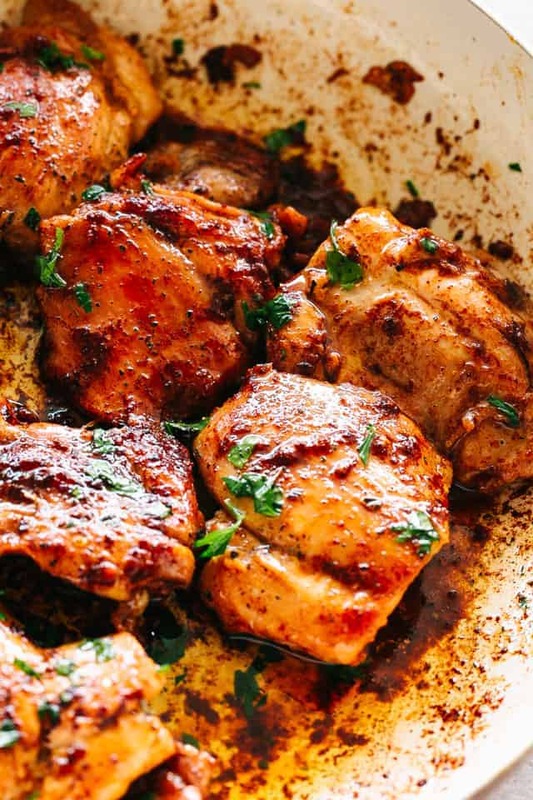 What a delicious Juicy Stove Top Chicken Thighs! I simply cannot wait to try it! Very interesting combination of ingredients. I am saving this recipe for later. This looks perfect for dinner any night! Delicious looking and healthy too. These look SO Juicy and Delicious!!!! YUM! Oh my, these look positively mouthwatering! I haven’t even had breakfast yet and I’m already craving dinner! I love that this recipe is easy enough for a weeknight, and can also be served at a dinner party! Chicken thighs are some of my favorite foods!